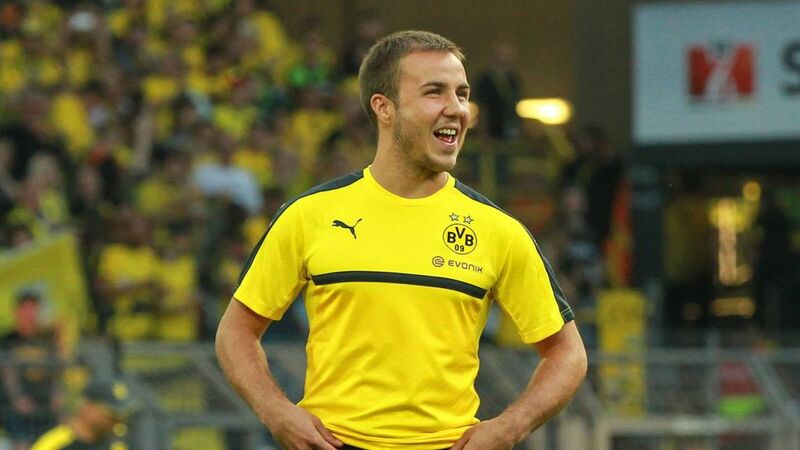 Could Mario Götze be in line for his first start of the season and a second debut for Dortmund? The international break is over and it's back to Bundesliga business. The burning question ahead of Borussia Dortmund's visit to RB Leipzig is whether or not World Cup winner Mario Götze will make his second debut in a black-and-yellow shirt. And RB Leipzig fans could get a first chance to their new signing Oliver Burke in action when the mighty Borussia Dortmund provide the opposition for the first-ever Bundesliga game at the 44,300-capacity RED BULL ARENA (kick-off: Saturday, 18:30 CEST/16:30GMT).